Isn’t it weird when things just sort of come together on their own? 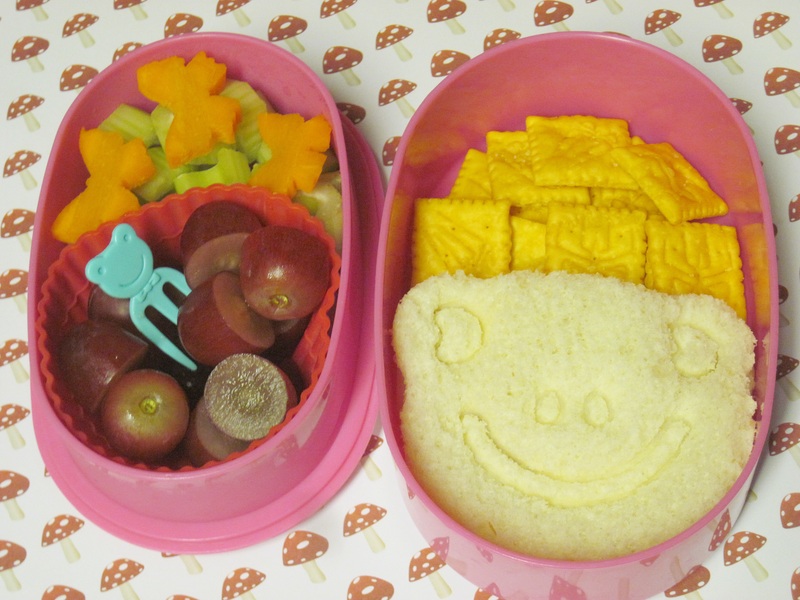 Without meaning to, I created a frog/insect theme for today’s bento. I cut some carrots into butterfly shapes last night using a small fondant cutter. I also grabbed the first CuteZCute insert that my hand touched this morning when I made Cam’s sandwich and it just happened to be a frog. The first pick I grabbed was also a frog. And lastly, when I tossed in some Cheez-Its, I noticed once they were in the bento that they were Spiderman Cheez-Its. See all the spiders? There is some sliced celery under the carrot butterflies and the froggy sandwich is filled with sliced chicken. I wonder if my little miss caught the theme at lunch time today.